A collection of information and resources about some of the people whose work has helped build biotechnology into one of the most important tools in our lives today. Born: Alice, Texas, USA. James Allison is best known for helping to elucidate the mechanism behind T cells activation and for pioneering the first immune checkpoint inhibitor drug for treating cancer. His work has radically transformed the landscape for cancer treatment, shifting it away from targeting a tumour to instead using the immune system to destroy cancer cells. He was awarded the Nobel Prize in Physiology or Medicine for this work in 2018. Born: Granichen, Switzerland. 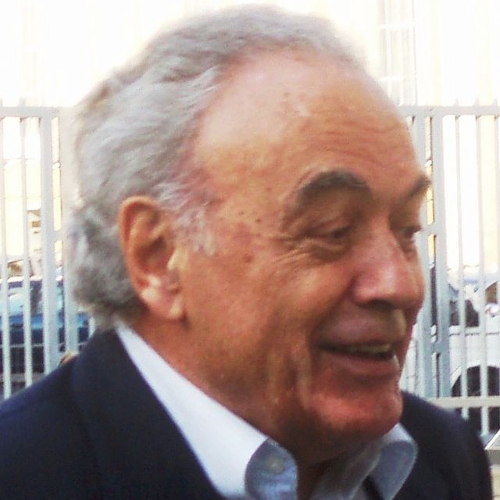 Werner Arber is a Swiss microbiologist and geneticist who together with Daisy Dussoix helped discover and understand the mechanism of restriction enzymes, laying the foundation for their adoption as molecular scissors. These enzymes today are a fundamental tool for many different types of biotechnology, including DNA sequencing and gene cloning. (Photo credit: Antonio G Colombo). Born: Vienna, Austria. Askonas co-developed one of the first systems for the cloning of antibody-forming B cells in vivo, some of the earliest monoclonal antibodies. She was also one of the first scientists to isolate and clone virus specific T lymphocytes, laying the foundation for defining different influenza sub-sets and improving vaccines. (Photo credit: Anne-Katrin Purkiss, Wellcome Images B0007461). Born: Brooklyn, New York, United States. 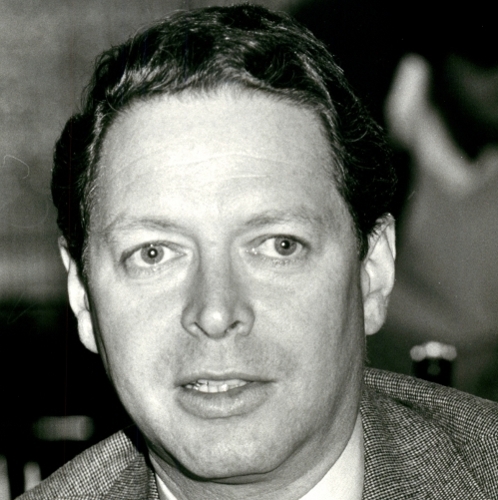 Berg was the first to demonstrate the possibility of making recombinant DNA and helped pioneer guidelines to limit the potential harm posed by genetic engineering. (Photo credit: Albert and Mary Lasker Foundation). 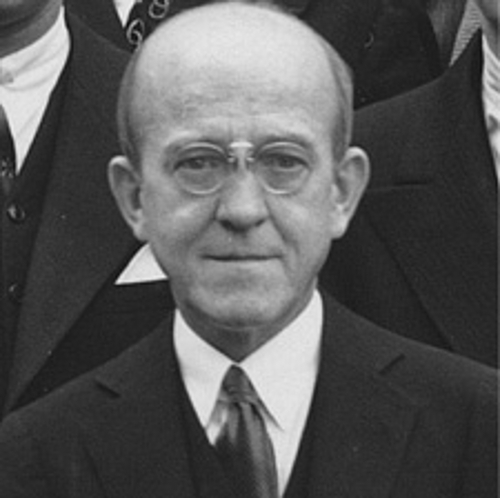 Born: Derry, Pennsylvania, United States. 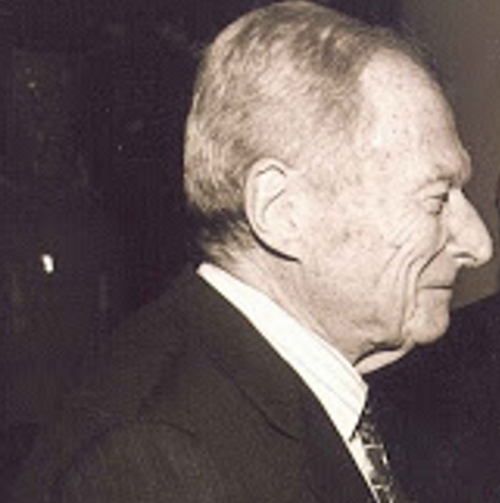 Together with Stanley Cohen, Boyer demonstrated the possibility of producing recombinant DNA in bacteria in 1973. This they did by combining a gene for frog ribosomal RNA with a bacterial plasmid which was then put into a strain of E-coli for expression. Based on this technique Boyer helped found Genentech, the first biotechnology company dedicated to commercialising recombinant DNA. This he did in 1976 in collaboration with Robert Swanson. (Photo credit: Genentech). Born: Perth Amboy, New Jersey, United States. 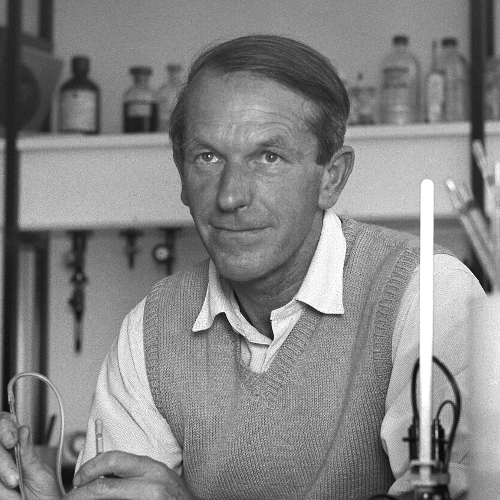 Together with Herbert Boyer, Stanley Norman Cohen demonstrated the possibility of producing recombinant DNA in bacteria in 1973. This they did by combining a gene for frog ribosomal RNA with a bacterial plasmid which was then put into a strain of E-coli for expression. The work laid the foundation for the birth of Genentech, the first company dedicated to the commercialisation of recombinant DNA. (Photo credit: Office of Communication & Public Affairs/Stanford School of Medicine). Born: Weston Favell, United Kingdom. Together with James Watson, Francis Crick discovered the double-helix structure of DNA. This they did with the help of earlier research by Rosalind Franklin and Maurice Wilkins. Crick also developed the theoretical framework for understanding how genetic information travels in cells. (Photo credit: MRC, Laboratory of Molecular Biology). Born: Birmingham, United Kingdom. 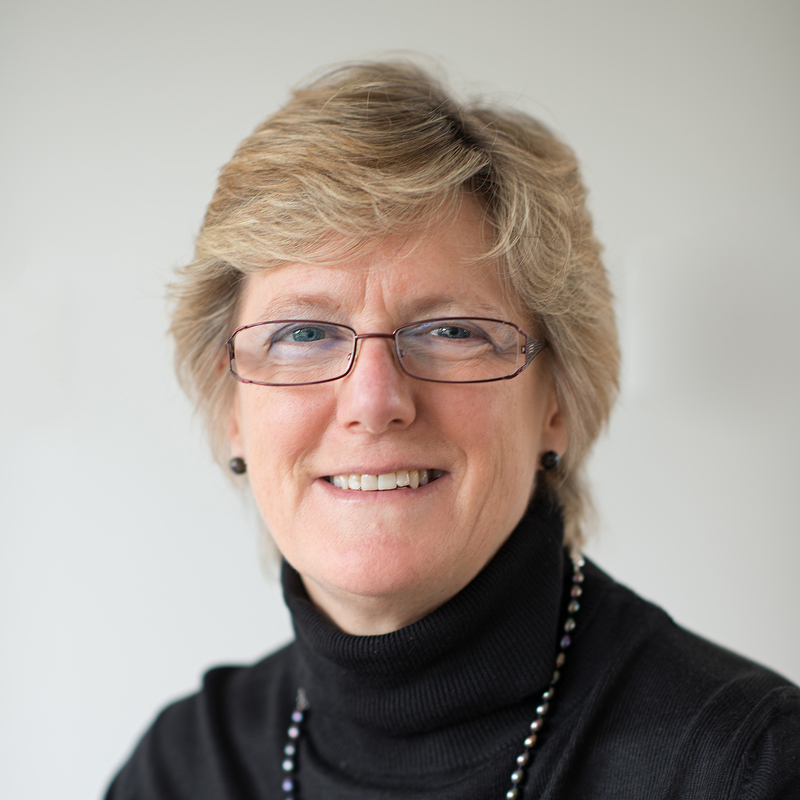 Sally Davies was named the sixth most powerful woman in the UK by Woman’s Hour, a BBC radio programme, in 2013. She is the first woman to hold the post of Chief Medical Officer for England. 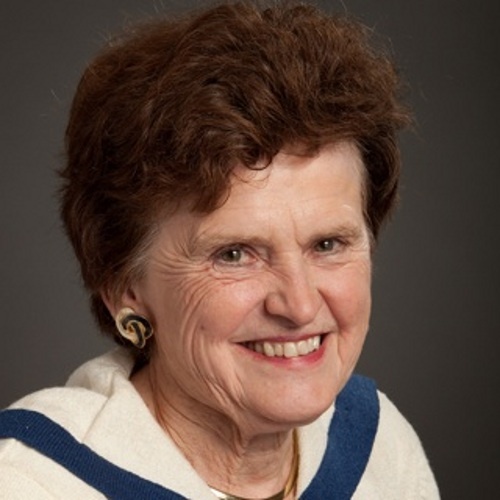 In 2006 she set up the National Institute for Health Research, a body that has revolutionised the approach to clinical and applied research in the UK. She is also at the forefront of spearheading efforts to combat antimicrobial resistance around the world. All this she has achieved in the midst of dealing with a likely variant of dyslexia, being widowed young and becoming a mother in her forties. Much of her career has been shaped by serendipity and her strong desire to make the world a better place. Born: Philadelphia, Pennsylvania, United States. 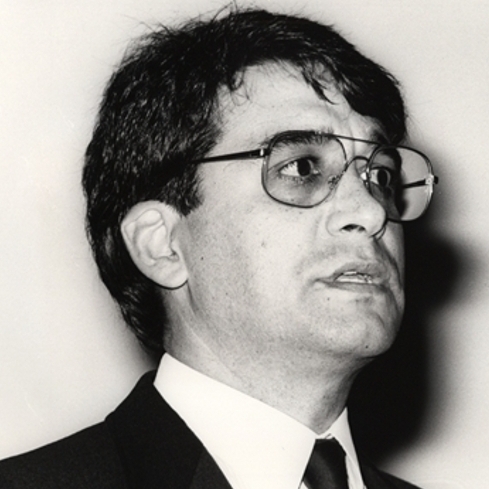 Dayhoff is known as the founder of bioinformatics. 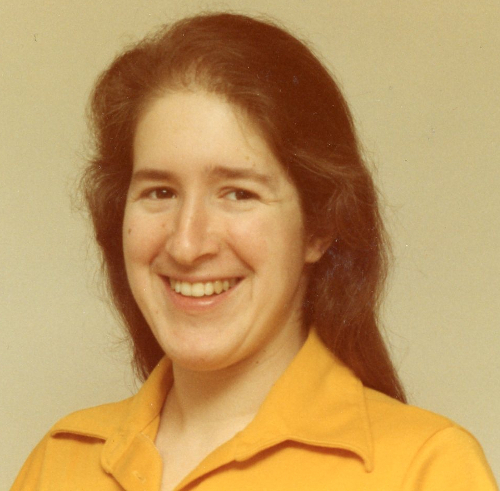 This she did by pioneering the application of mathematics and computational techniques to the sequencing of proteins and nucleic acids and establishing the first publicly available database for research in the area. (Photo credit: Ruth E Dayhoff, National Library of Medicine). Born: Washington DC, United States. Doudna first made her name uncovering the basic structure and function of the first ribozyme, a type of catalytic ribonucleic acid (RNA) that helps catalyse chemical reactions. This work helped lay the foundation for her later helping to pioneer CRISPR-Cas 9, a tool that has provided the means to edit genes on an unprecedented scale and at minimal cost. 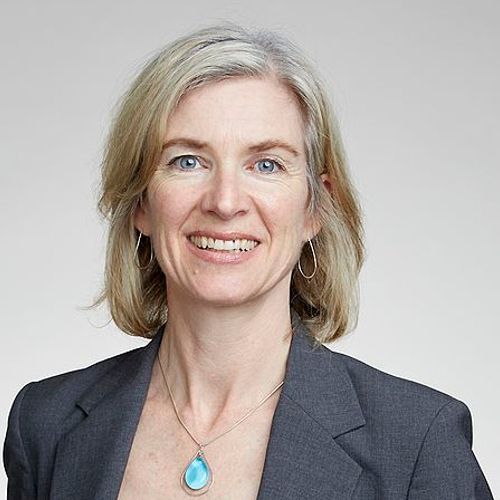 In addition to her scientific contributions to CRISPR, Doudna is known for spearheading the public debate to consider the ethical implications of using CRISPR-Cas9 to edit human embryos. Born: London, United Kingdom. 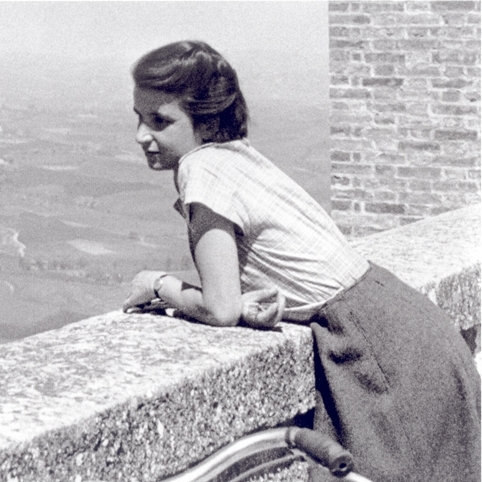 Rosalind Franklin was an x-ray crystallographer whose work helped uncover the double-helix structure of DNA. (Photo credit: Vittorio Luzzati). Born: Pittsburgh, PA, USA. 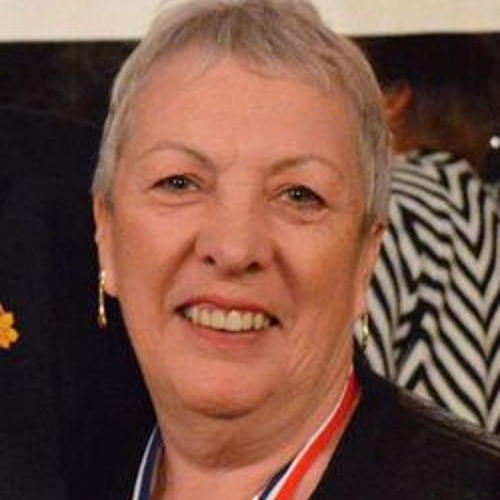 Carolyn E Green was a serial entrepreneur in the life sciences community and a leading voice for women in the sector. In her short life she managed to found and head up numerous companies and held many leadership and sales positions in the biopharmaceutical industry. Her crowning achievement was to be hired by Pfizer to head up its new strategic research and development investments initiative. This entailed working with the corporation’s venture fund to establish partnerships with early-stage companies. Green’s enduring patience and strong mentoring skills, together with her passion to develop products to help patients, set her apart from many others in the biotechnology world. Born: Delhi, Louisiana. Griffin earned two doctorates in chemistry in an era when it was rare for women to pursue a scientific career. 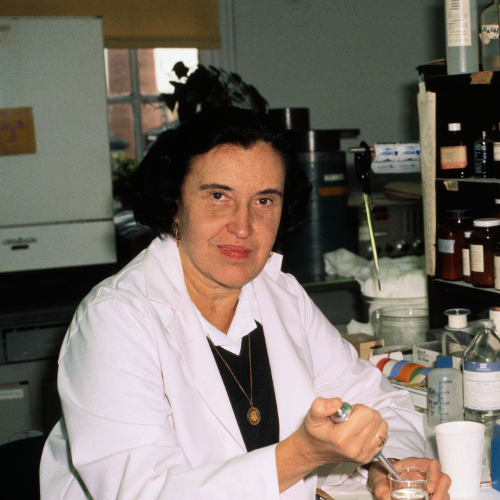 She is best known for her pioneering work on the molecular biology of two viruses that cause cancer - the polyomavirus and Epstein Barr Virus (EBV). 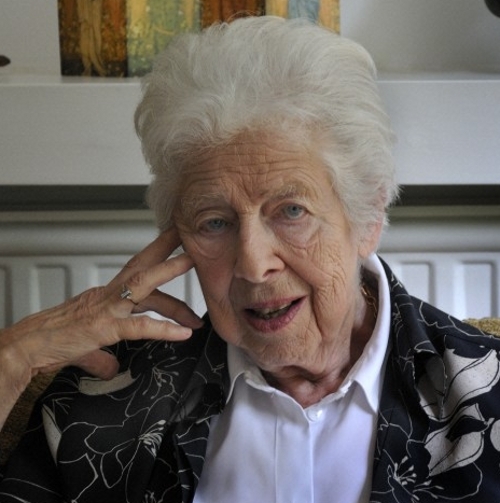 From the 1980s she was devoted to understanding how in one setting EBV could cause glandular fever, a largely harmless disease, and yet in another Burkitt's Lymphoma, a major killer of children in Central Africa. She also spearheaded efforts to improve the diagnosis and treatment of the cancer and was a tireless campaigner for raising awareness of the plight of children with the disease in Africa. (Photo credit: Tomas Lindahl). Born: London, United Kingdom. First director of the Basel Institute of Immunology, Jerne's research and theories to explain antibody diversity and formation helped ignite work that laid the foundation for the production of monoclonal antibodies. (Photo credit: F. Hoffmann-La Roche AG). Born: Raipur, Punjab, British India. Khorana was one of the first scientists to demonstrate the role of nucleotides in protein synthesis and helped crack the genetic code. He also helped develop custom-designed pieces of artificial genes and methods that anticipated the invention of the polymerase chain reaction (PCR) process, a biochemical technology used to amplify a single or a few copies of a piece of DNA. (Photo credit: University of Wisconsin). Born: Munich, Germany. 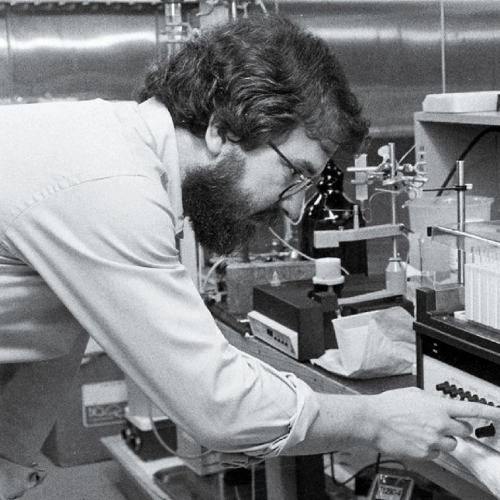 Together with Cesar Milstein, Kohler developed the first unlimited supply of long-lasting monoclonal antibodies, which today underpins the development and application of many diagnostics and therapeutics. (Photo credit: MRC, Laboratory of Molecular Biology). Born: Warsaw, Poland. 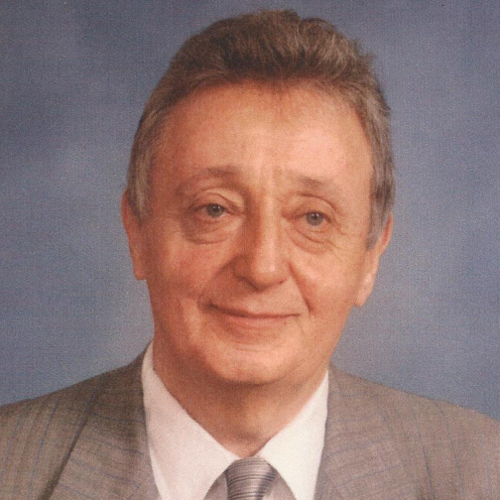 A pioneer in the development of the oral polio and modern rabies vaccines, Koprowski was the first scientist, together with colleagues, to be granted a patent for monoclonal antibodies. (Photo credit: Anne Schoemaker). Born: New York City, United States. 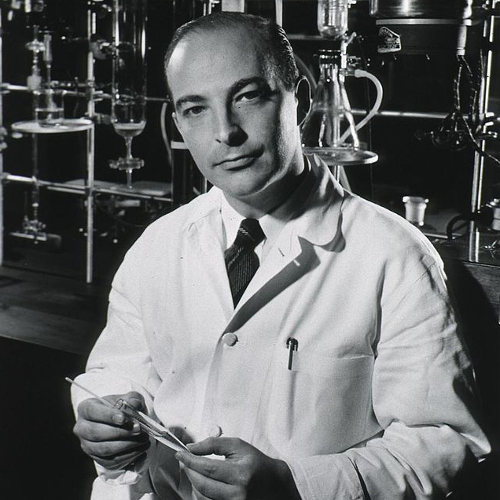 In 1956 Kornberg isolated the first DNA polymerizing enzyme, now known as DNA polymerase, which he identified as the mechanism for DNA replication. (Photo credit: National Institutes of Health). Born: Bronx, New York, United States. 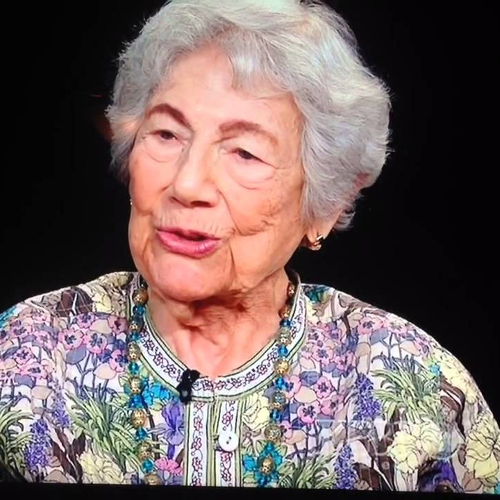 Esther Lederberg was a major pioneer of bacterial genetics. She discovered the lambda phage, a bacterial virus which is widely used as a tool to study gene regulation and genetic recombination. 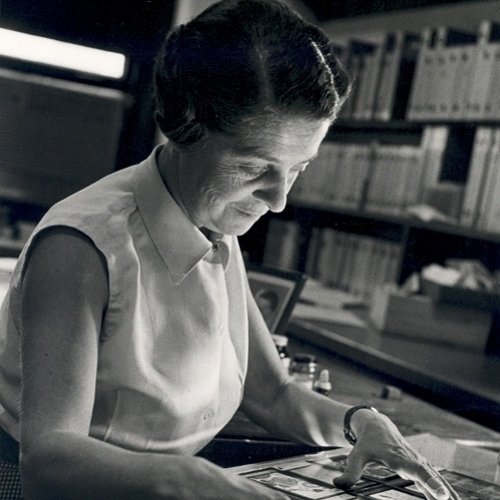 She also invented the replica plating technique, which is used to isolate and analyse bacterial mutants and track antibiotic resistance. (Photo credit: The Esther Lederberg Memorial Trust). Born: Turin, Italy. An Italian scientist, Rita Levi-Montalcini helped discover the chemical tools the body uses to direct cell growth and build nerves. This knowledge underpins current investigation into how these processes go wrong in diseases like dementia and cancer. (Photo credit: Bernard Becker Medical Library). Born: The Bronx, New York, USA. 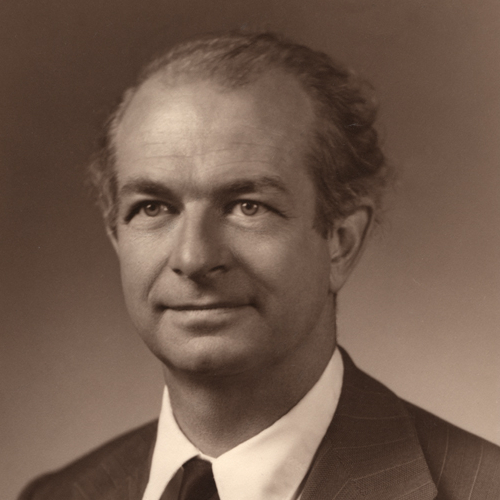 Mertz was pivotal to the discovery of the first enzyme for easily joining together DNA from different species and designing the protocol that underpinned the development of the first recombinant DNA cloned in bacteria. Her work not only helped lay the foundation for the development of genetic engineering, but also spurred on the establishment of the first safety guidelines for laboratories involved in genetic manipulation. She has also made key contributions to our understanding about how the human tumour viruses SV40, hepatitis B virus, and Epstein-Barr virus regulate expression of their genes and identified roles oestrogen-related receptors play in breast cancer and responses to therapies. (Photo credit: Janet Mertz). Born: Bahia Blanca, Argentina. 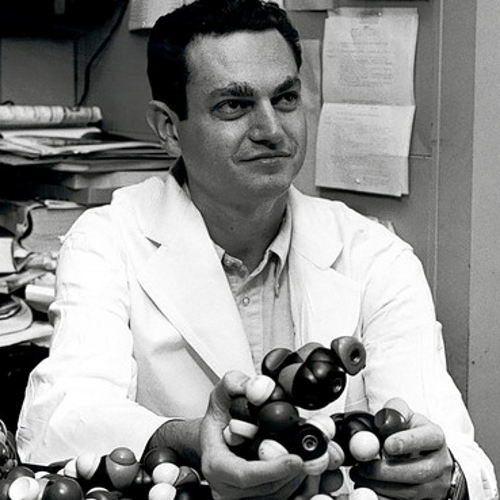 Together with Georges Kohler, Milstein developed the first unlimited supply of monoclonal antibodies, which today underpin many diagnostics and therapeutics. 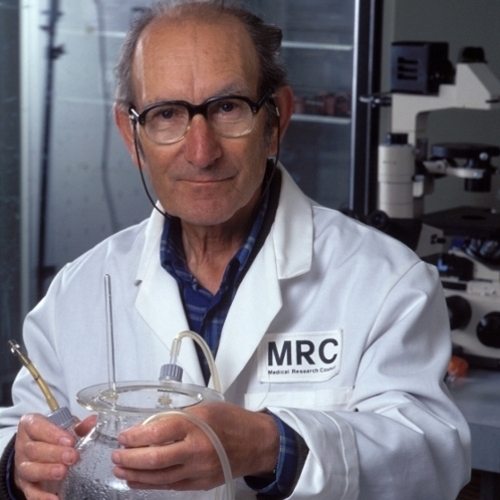 Milstein is the subject of an exclusive exhibition kindly supported by the Medical Research Council. Please go to this page to view the exhibition. (Photo credit: MRC, Laboratory of Molecular Biology). Born: Poole, Dorset, United Kingdom. 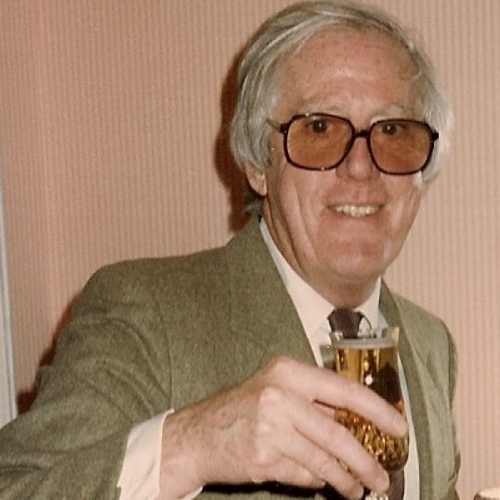 Founder of Sera-Lab, the first biotechnology company to commercialise monoclonal antibodies, Murray's entrepreneurial efforts paved the way to the wide-scale adoption of the technology in research and its clinical application. (Photo credit: Jenny Murray). Born: Magdeburg, Germany. 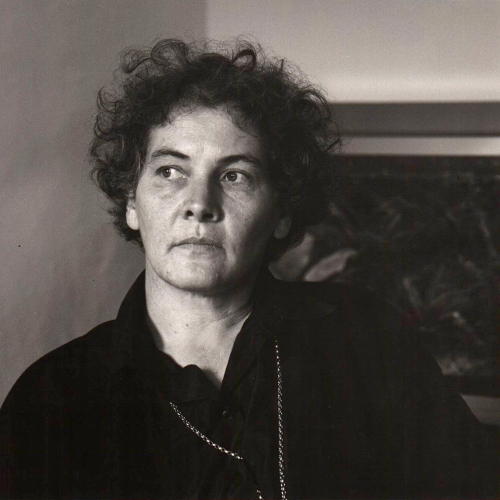 Christiane Nüsslein-Volhard won the Nobel Prize in 1995, the sixth woman to do so. She was awarded the Prize on the basis of her groundbreaking research that showed how genes regulate the early development of fruit fly embryos. Her discoveries helped create the new discipline of developmental genetics and laid the foundation for understanding genetic defects in human embryos. Born: West New York, New Jersey. 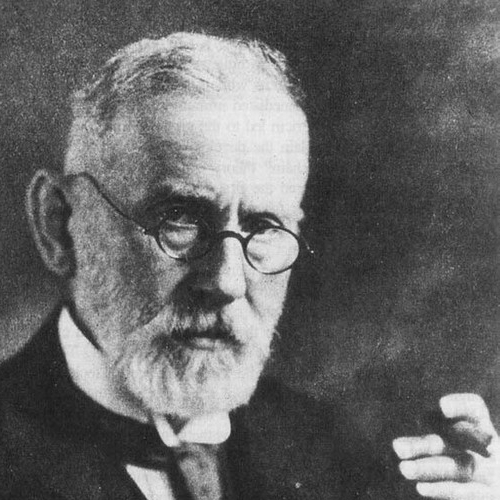 Ruddle helped pioneer human gene mapping and established many of the techniques and a framework for setting up the Human Genome Project. 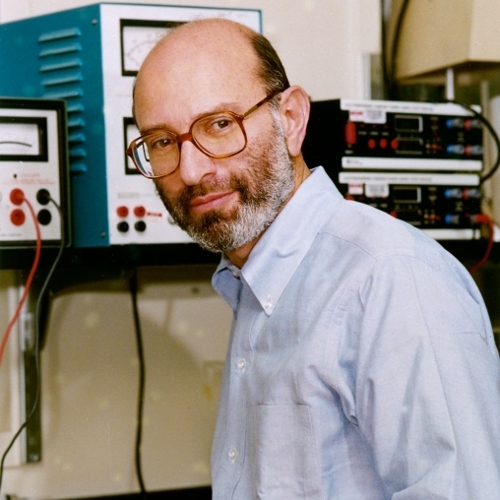 He is also known for having generated, with Jon W. Gordon and George Scango the first successful transgenic mouse. This heralded the development of genetically modified animals as research models to investigate the function of genes and genetic cause of disease. 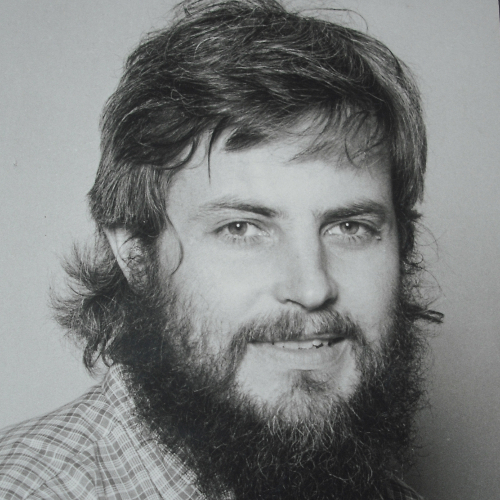 Ruddle also discovered, with William McGinnis, the first human homeobox genes, important regulators of gene development. (Photo credit: Michael Marsland). Born: Gloucestershire, England, United Kingdom. The first to determine the DNA sequence of insulin, Sanger proved proteins have a defined chemical composition. He was also pivotal to the development of the dideoxy chain-termination method for sequencing DNA molecules, known as the Sanger method. This provided a breakthrough in the sequencing of long stretches of DNA in terms of speed and accuracy and laid the foundation for the Human Genome Project. (Photo credit: MRC, Laboratory of Molecular Biology). Born: Deventer, The Netherlands. 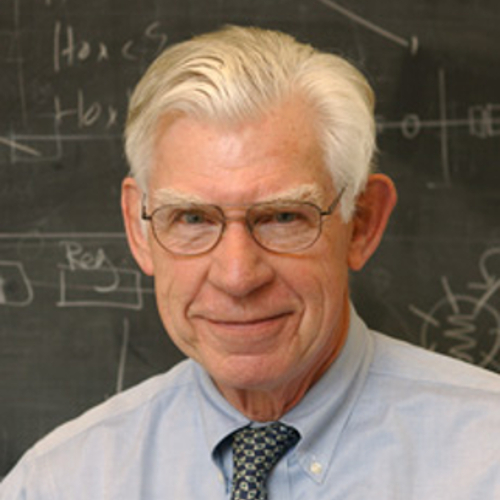 Schoemaker was co-founder and first Chief Executive Officer of Centocor, an American biotechnology company that pioneered the commercialisation of monoclonal antibody diagnostics and therapeutics. (Photo credit: Anne Schoemaker). Born: Georgetown, Guyana. 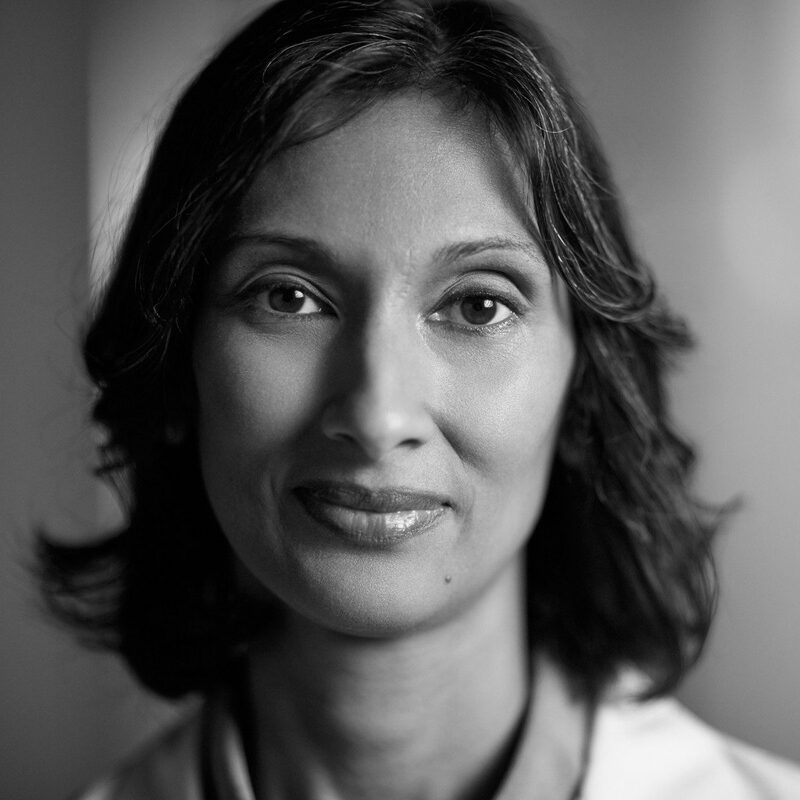 Padmanee Sharma is a leading figure in oncology, specialising in renal, bladder and prostate cancer. Her prime focus is to understand the mechanisms and pathways within the immune system responsible for tumour rejection. Since 2005 she has been a principal investigator for several clinical trials launched to improve the efficacy of cancer immunotherapies. Driven by the desperation of her cancer patients, much of Sharma’s high-flying career is down to the strong determination she developed to overcome the poverty and hardships she faced as the child of Indo-Guyanese immigrants who settled in New York when she was 10 years old. Born: Budapest, Hungary. Sinkovics was one of the first scientists to recognise the possibility of immortalising a specific antibody-producing cell by fusion with a lymphoma cell, the principle that underlines the generation of monoclonal antibodies today. 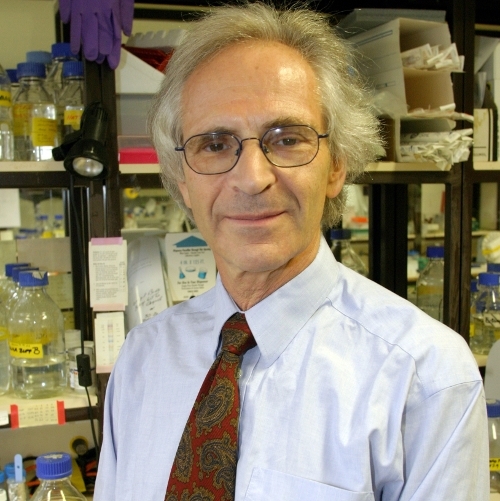 He has also been a major pioneer in cancer research, being one of the first to discover large granular lymphocytes could kill cancer cells without pre-immunisation of the host and that attenuated (weakened) viruses could destroy tumour cells in vitro which led to his development of some of the first viral therapies against cancer. (Photo credit: Joseph Sinkovics). Born: Glasgow, Scotland. 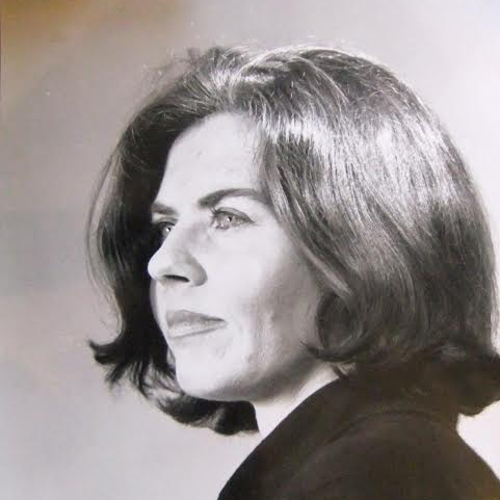 Rosemary J Versteegen worked for over twenty years with Life Technologies Inc, which in the 1990s was one of largest suppliers of culture cell products and other scientific reagents to the biotechnology industry. She was pivotal to the company’s success in winning FDA approval for the first diagnostic test using synthetic nucleic acid probes for detecting infection with the human papillomavirus, one of the most common causes of cervical cancer. 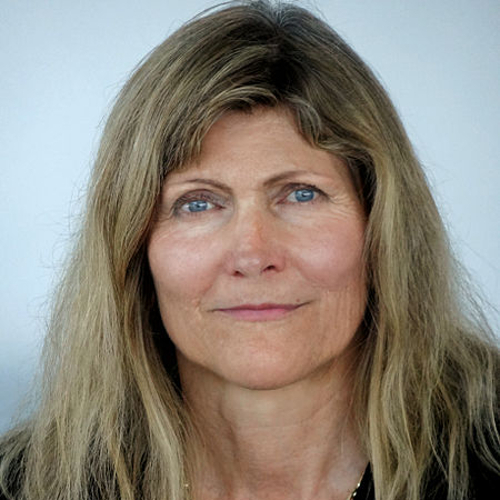 In addition, Versteegen is one of the co-founders and the Chief Executive Officer of the International Serum Industry Association, an organisation that works to promote standards of excellence and ethics in the animal serum and animal derived products industry. Born: Chicago, United States. Together with Francis Crick, Watson was co-discoverer of the double-helix structure of DNA. This they accomplished with the help of earlier research by Rosalind Franklin and Maurice Wilkins. (Photo credit: Cold Spring Harbor Laboratory). Born: Pongaroa, Wairarapa, New Zealand. 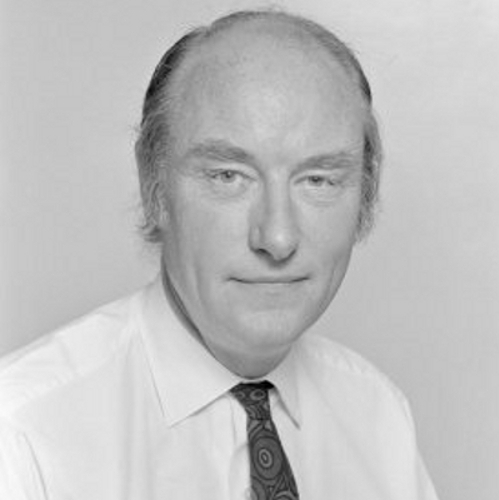 Wilkins is most well-known for beginning the X-ray diffraction images of DNA that contributed to Watson and Crick's discovery of the double-helix structure of DNA. (Photo credit: King's College London). Born: Beijing, China. 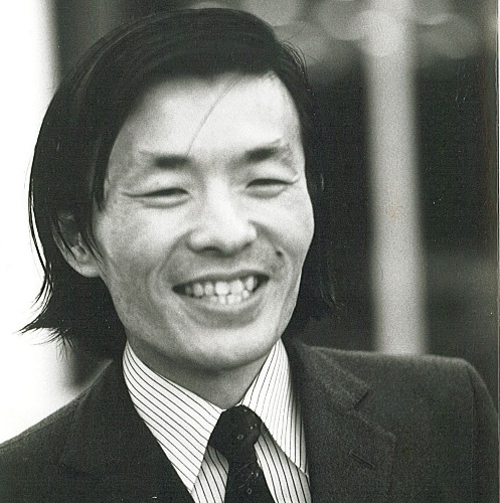 Ray Wu pioneered the first primer-extension method for DNA sequencing which laid the foundation for the Human Genome Project. He was also instrumental in the application of genetic engineering to agricultural plants to improve their output and resistance to pests, salt and drought. (Photo credit: Ray Wu Memorial Fund). Born: Halifax, Canada. 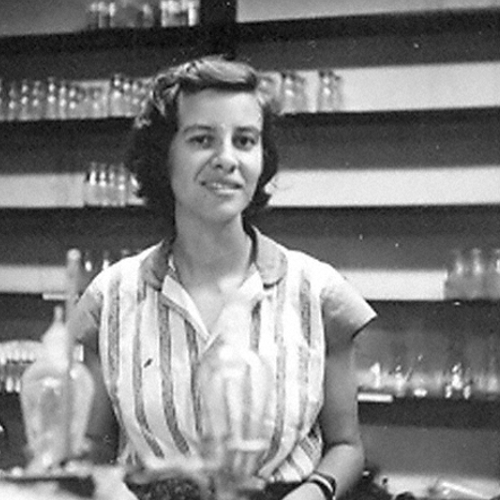 Avery was among the first generations of molecular biologists. 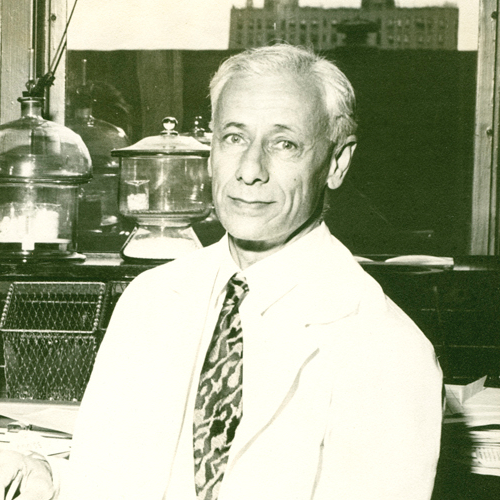 Together with Colin MacLeod and Maclyn McCarty, Avery conducted experiments in the early 1940s with pneumococcus bacteria which demonstrated for the first time that DNA was not a protein as most scientists had assumed, but a carrier for genes and chromosomes in cells and therefore a genetic transforming agent. (Photo credit: Rockefeller Archive Center). Born: Paris, France. 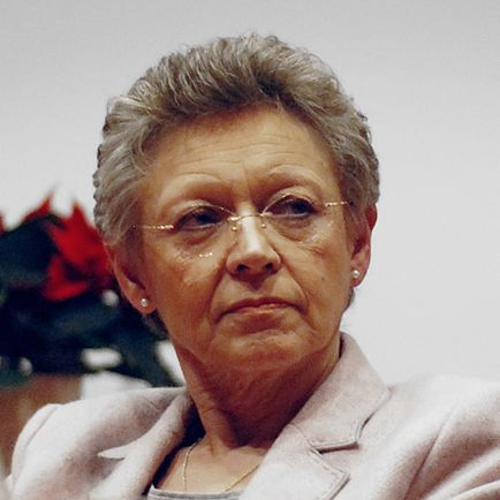 Barre-Sinoussi shared the 2008 Nobel Prize in Physiology or Medicine for helping to identify the human immunodeficiency virus (HIV) as the cause of AIDS in 1983. Over the years she has made substantial contributions to understanding the role of innate immune defences in the host in controlling HIV/AIDS and how HIV is transmitted between the mother and child. She has also studied the characteristics that allow some HIV-positive individuals gain resistance to HIV without antiretrioviral drugs. (Photo credit: Karolinska Institute, Press conference, 2008). Born: Detroit, Michigan, United States. 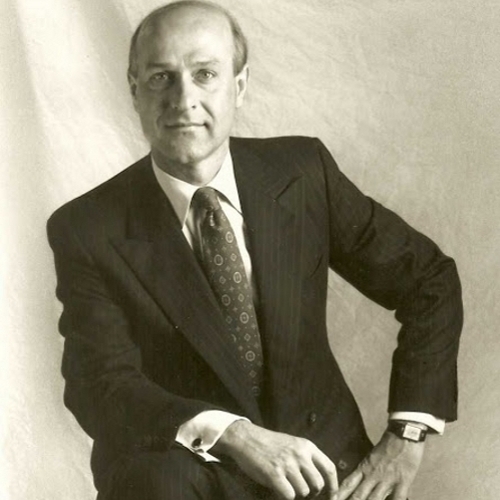 In 1978 Birndorf, along with Ivor Royston, helped found Hybritech, America's first biotechnology company dedicated to monoclonal antibodies Birndorf went on to found other companies including: Gen-Probe, IDEC Pharmaceuticals (which merged with Biogen to form Biogen-Idec), Ligand, Gensia (Sicor), Neurocrine Biosciences, FastTraQ and Nanogen. (Photo credit: San Diego Metropolitan Magazine). Born: Hobart, Tasmania, Australia. 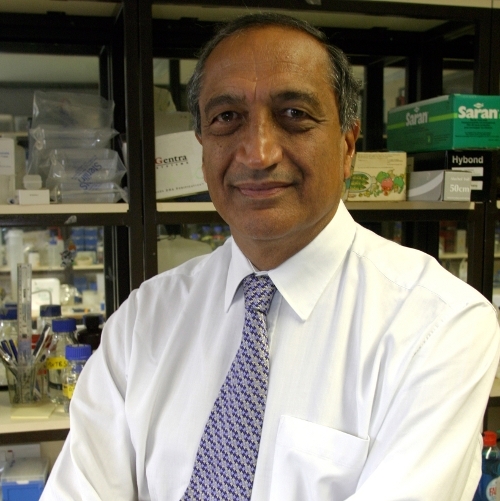 Blackburn is a molecular biologist who was awarded the Nobel Prize in Physiology or Medicine in 2009. 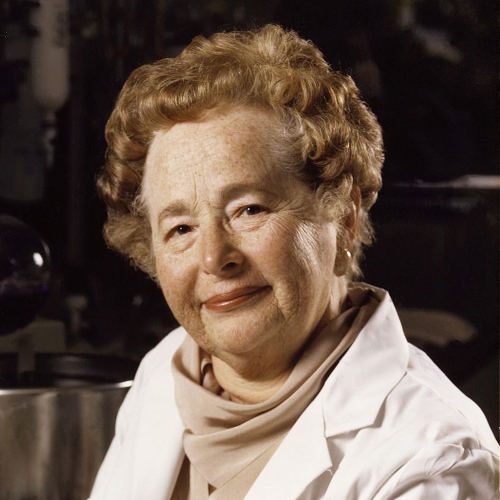 She is best known for having discovered a particular repetative sequence of DNA on the telomere, a particular region found at the end of a chromosome that prevents the chromosome ends from fraying and sticking to each other. She also helped identify telomerase, an enzyme that helps replenish telomeres which get shorter every time a cell divides. Such shortening is associated with aging and cancer. (Photo credit: Chemical Heritage Foundation). Born: Buenos Aires, United States. 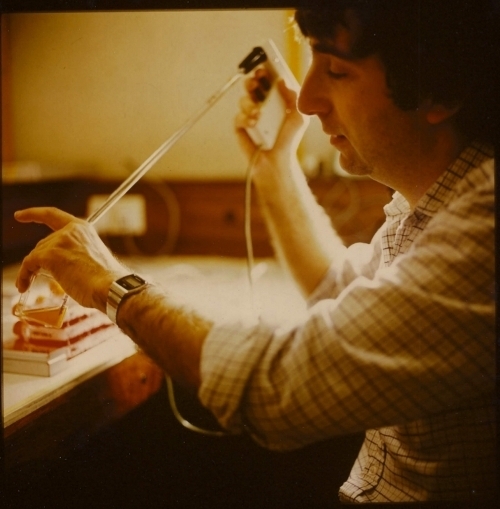 Together with Cesar Milstein, Cuello developed the first monoclonal antibodies for detecting the detection and mapping of many different neurotransmitter pathways in the body and opened up new possibilities for the pathological investigation of neurological diseases like Alzheimer's and Parkinsons. (Photo credit: Fundacion Juan March). Born: Strehlen, Prussia. 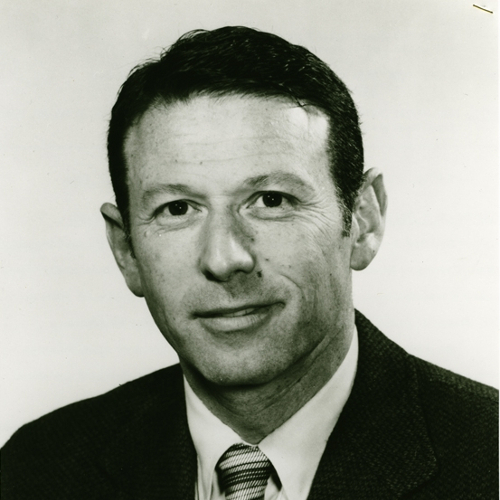 Ehrlich was the first to coin the term antibody and helped develop the first serum based therapies. Based on this he promoted the idea of using compounds, such as antibodies, as magic bullets for therapy, a concept that would later inspire the development of monoclonal antibody drugs. (Photo credit: National Library of Medicine). Born: New York City, United States. Elion shared the 1988 Nobel Prize in Physiology or Medicine for her contributions to the development of a multitude of new drugs. This included drugs for herpes, leukemia, malaria, gout, immune disorders, and AIDS, and immune suppressants to overcome rejection of donated organs in transplant surgery. Her work earned 45 patents. (Photo credit: Wellcome Images). Born: France. Together with Ravinder Maini, Feldmann helped identify TNF alpha as a key cytokine in the process of rheumatoid arthritis, laying the foundation for the development of monoclonal antibody drugs to treat autoimmune diseases. (Photo credit: Imperial College). Born: Cleveland, Ohio, United States. 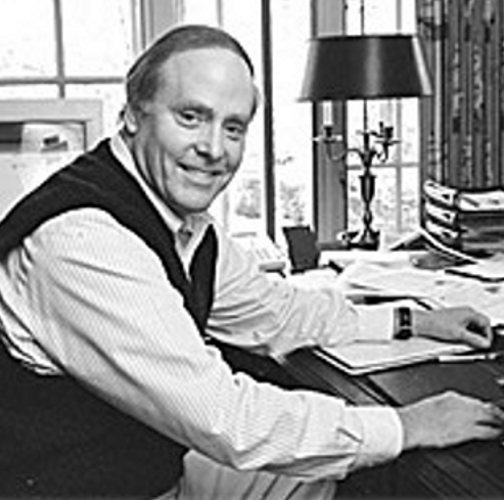 A bioentrepreneur and venture capitalist, Green was the first Chief Executive Officer of Hybritech, America's first monoclonal antibody biotechnology company, and helped found or manage eleven medical technology companies. (Photo credit: San Diego Metropolitan Magazine). 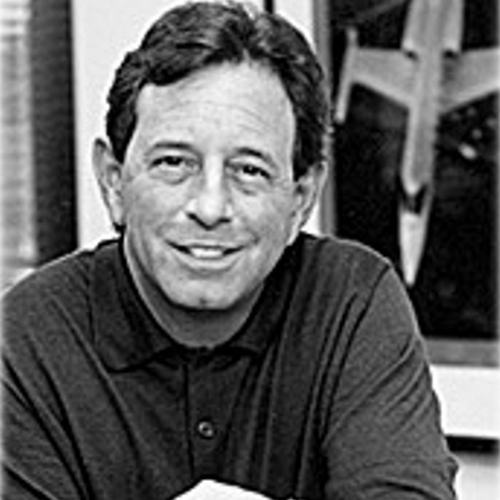 Born: San Diego, California, United States. 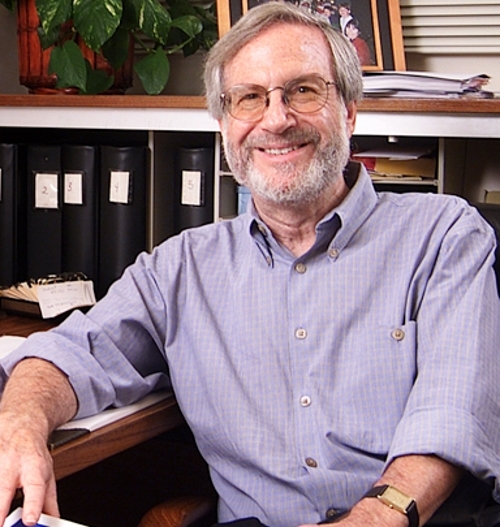 Greider shared the Nobel Prize for Physiology or Medicine in 2009 for helping to elucidate the structure of telomeres, a particular region found at the end of a chromosome that prevents the chromosome ends from fraying and sticking to each other, and to identify telomerase, an enzyme that helps replenish telomeres which get shorter every time a cell divides. Such shortening is associated with aging and cancer. 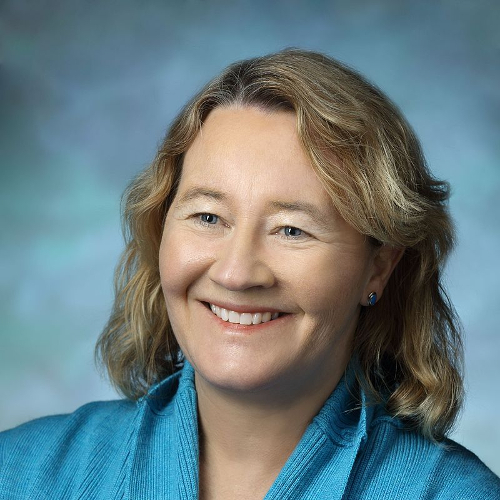 She also collaborated in the development of the first telomerase knockout mouse which helped demonstrate how premature aging is linked to increasingly short telomeres. (Photo credit: Keith Weller). Born: New York City, United States. 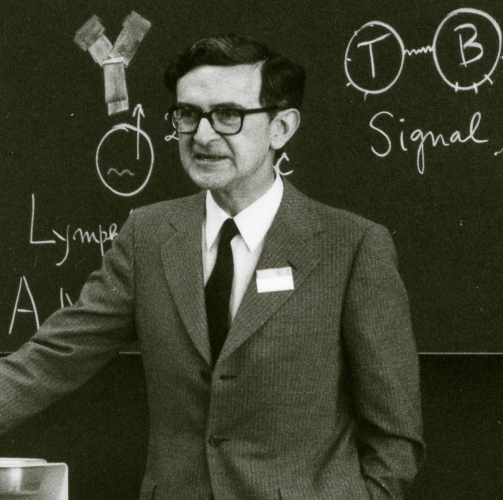 Together with Forrest Kendall and Elvin Kabat, Heidelberg was instrumental in determining antibodies to be proteins. (Photo credit: Michael Heidelberger/National Library of Medicine). Born: Vienna, Austria. Hochmair-Desoyer is an electrical engineer who helped create the world's first micro-electric multi-channel cochlear implant. 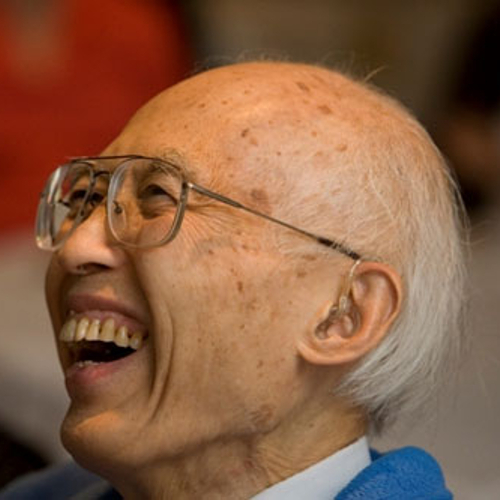 Developed in 1977 the implant enables the user to not only hear sounds but also to understand speech. 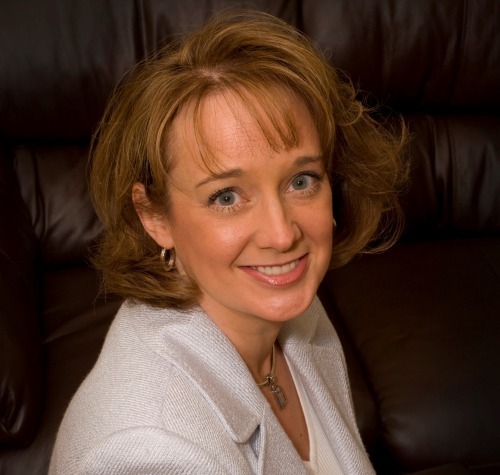 Since 2000 she has co-founded a number of medical device companies working to help with hearing loss. In 2013 she was awarded the Lasker-DeBakey Clinical Medical Research Award. (Photo credit: Ingeborg J Hochmair-Desoyer). Born: Cairo, Egypt. 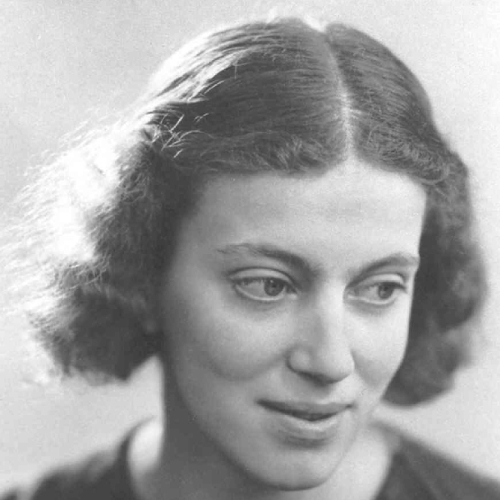 Dorothy Hodgkin, was a British biochemist who developed protein crystallography and X-ray crystallography which was used to confirm the structure of penicillin, for which she won the Nobel Prize in Chemistry in 1964. (Photo credit: Peter Lofts Photography, National Portrait Gallery, London Peter Lofts Photography, National Portrait Gallery, London ). Born: Illinois, United States. 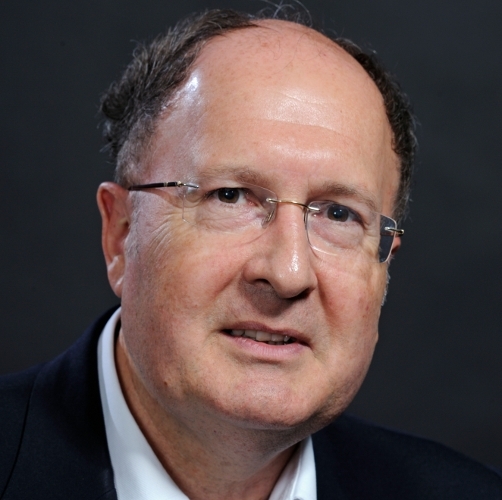 King is a human geneticist who studies the interplay between genetics and the environment on human disease. She is best known for having identified BRCA1, a single gene responsible for many breast and ovarian cancers. Her technique for identifying the BRCA1 gene is now used for studying many other diseases. 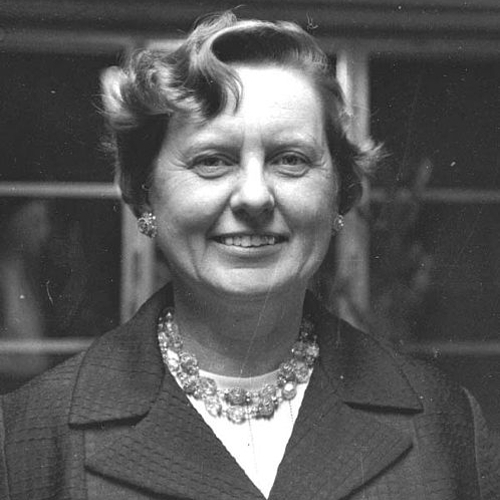 She was also responsible for the development of a technique, using mitrochondial DNA and human leukocyte antigen, for genetically identifying the remains of missing people. (Photo credit: Mary-Claire King). Born: Philadelphia, Pennsylvania, United States. 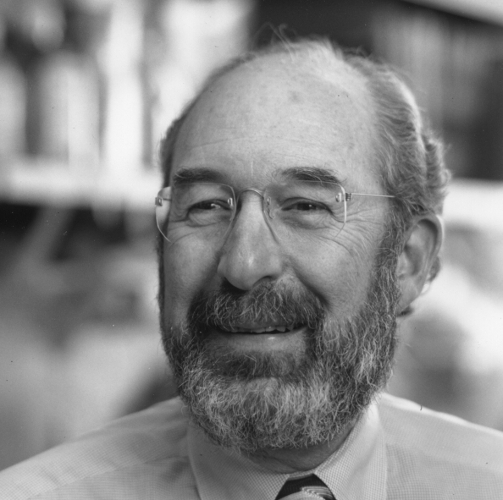 Developer of the splenic fragment system, a technique that helped generate some of earliest monoclonal antibodies against viral antigens and cancer. (Photo credit: Scipps Research Institute). Born: Montclair, New Jersey, United States. 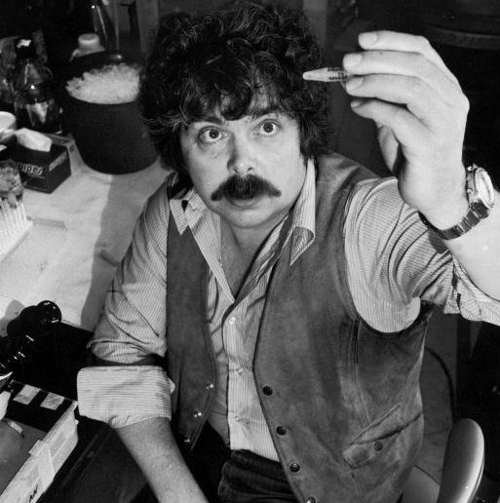 An American molecular biologist known for his work in bacterial genetics and the discovery of viral transduction, that is the ability of viruses to transfer snippets of DNA from one infected bacteria to another. This laid the basis for genetic engineering in the 1970s. (Photo credit: The Esther Lederberg Memorial Trust). Born: Carmel, California, United States. 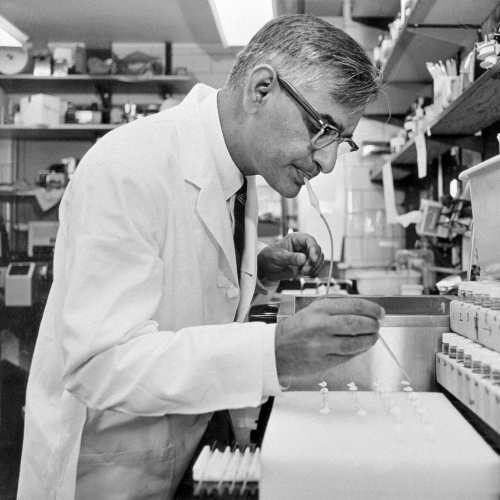 An oncologist and scientist, Levy helped pioneer the development of the first monoclonal antibodies effective in combating cancer. 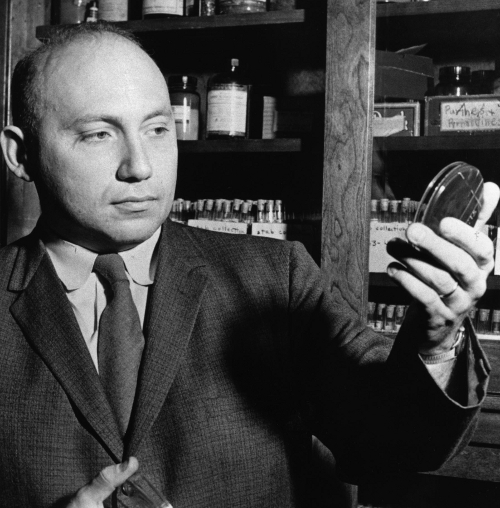 His work laid the foundation for the development of Rituxan, the first monoclonal antibody drug approved by the FDA for the treatment of cancer. (Photo credit: Office of Communication & Public Affairs/Stanford School of Medicine). Born: Ludhiana, India. 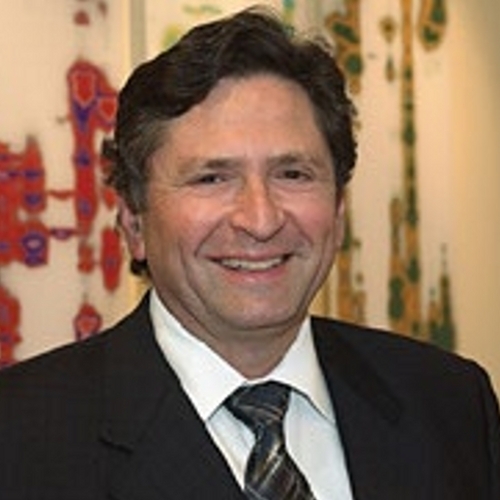 Together with Marc Feldmann, Maini helped identify TNF alpha as a key cytokine in the process of rheumatoid arthritis, laying the foundation for the development of monoclonal antibody drugs to treat autoimmune diseases. (Photo credit: Imperial College). Born: Hartford, Connecticut, United States. 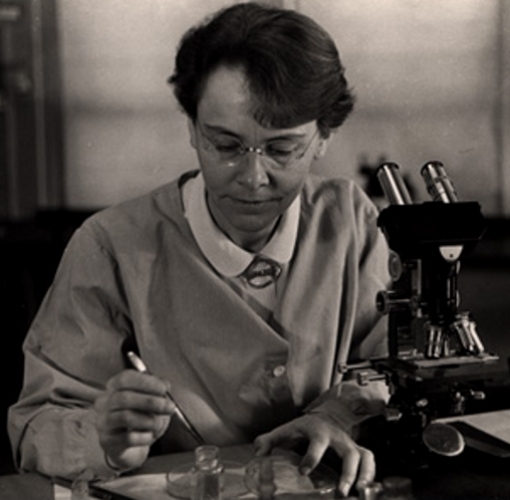 Through her work on maize, McClintock demonstrated the ability of genes to change position on the chromosome. (Photo credit: American Philosophical Society). Born: United States. A key pioneer in the development of antibody engineering techniques, Morrison helped develop some of the first chimeric monoclonal antibodies. This work paved the way to the creation of safer and more effective monoclonal antibody drugs. (Photo credit: Sherie Morrison). Born: Fosnavag, Norway. 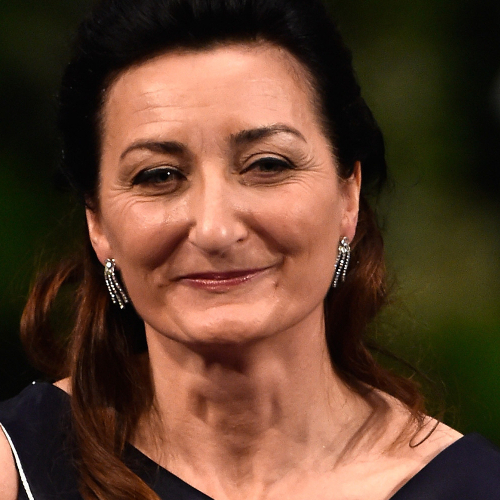 Moser shared the 2014 Nobel Prize in Physiology or Medicine for helping to discover cells located in the centre of the brain that are important for determining spacial position. Her work has helped scientists gain new understanding into the cognitive processes and spacial deficits linked to neurological conditions like Alzheimer's disease. (Photo credit: NBC News). Born: United States. Mullis improved the polymerase chain reaction (PCR) technique, first described by Kleppe and Khorana, laying the foundation for the infinite copying of small strands of DNAs. (Photo credit: The Roanoke Times). Born: Wilmington, Delaware, United States. Nathans was the first to demonstrate how a restriction enzyme could be used to cleave DNA and how its fragments could be pieced together to contruct a complete map of DNA. 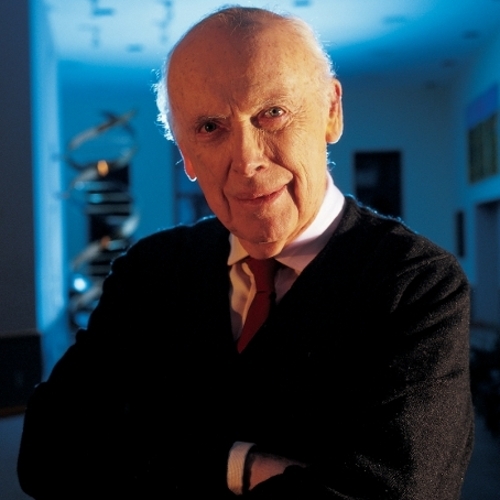 His technique opened the floodgates to the use of restriction enzymes for many different biotechnology applications, including DNA sequencing and the construction of recombinant DNA. (Photo credit: Joanne Nathans, National Library of Medicine). Born: London, United Kingdom. 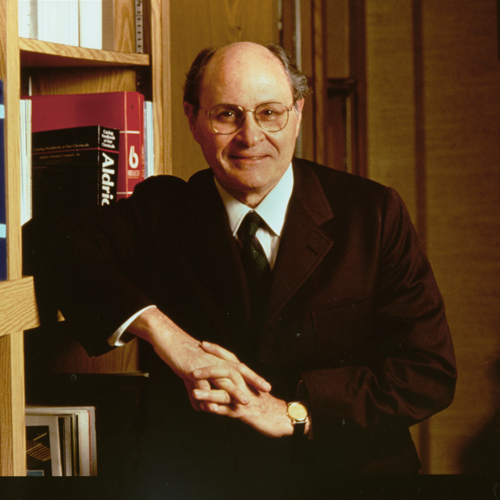 A pioneer of antibody engineering, Neuberger developed some of the first techniques for the generation of chimeric and humanised antibodies. He also helped create the first transgenic mice for the production of human monoclonal antibodies. His work paved the way for the generation of safer and more effective monoclonal antibody drugs. (Photo credit: Michael Neuberger). Born: New York City, United States. Together with Henry Matthaei, Nirenberg helped discover the coding mechanism for DNA, paving the way to the cracking of the Genetic code. (Photo credit: National Library of Medicine). Born: Portland, Oregon, United States. His discovery of sickle cell anaemia to be caused by genetic mutation, helped prompt widespread research into the links between DNA and disease as a whole. (Photo credit: Oregan State University). Born: Retford, United Kingdom. An oncologist, researcher and venture capitalist, Royston, together with Howard Birndorf and Ted Greene co-founded Hybritech, America's first monoclonal antibody biotechnology company. Hybritech helped kick-start the biotechnology industry in San Diego. Royston also co-founded Idec Pharmaceuticals,the company that developed Rituxan, the first monoclonal antibody drug approved by the FDA for cancer. (Photo credit: San Diego Metropolitan Magazine). Born: Florida, United States. 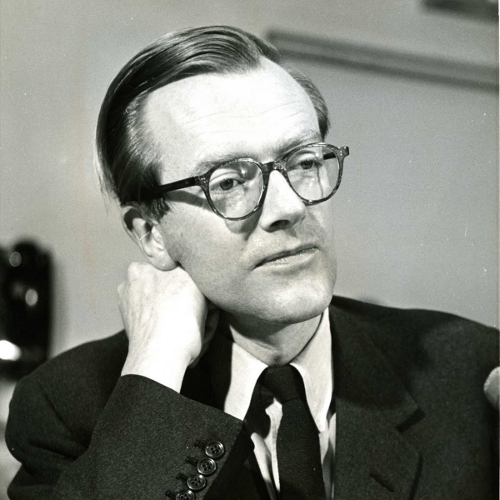 Together with Herbert Boyer, Swanson helped found Genentech, the first biotechnology company dedicated to commercialising recombinant DNA. 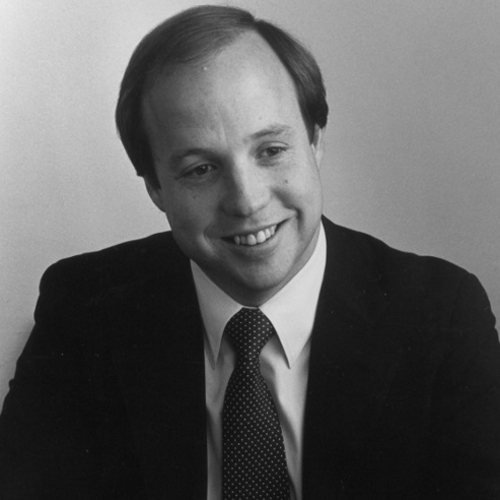 From 1976 to 1990 Swanson was Chief Executive and Director of the company and played an instrumental role in leading it to become the first major biotechnology company to show a profit and go public. (Photo credit: Genentech). Born: Nagoya, Japan. Tonegawa is known for his discoveries concerning the manner in which the immune system generates a diverse repertoire of antibodies. 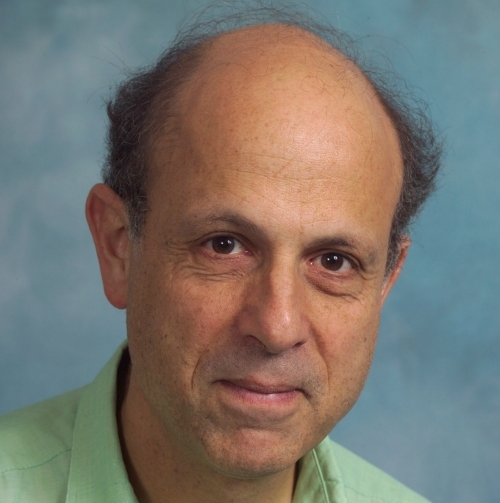 More recently he has been involved in the elucidation of the molecular and cellular basis of memory formation. (Photo credit: Susumu Tonegawa). Born: Bratislava, Slovakia. Vilcek helped develop methods for the molecular characterisation of the cytokine human interferon and for its production for clinical use. In addition, Vilcek was instrumental in elucidating the biological action of tumour necrosis factor (TNF), a cytokine involved in the promotion of inflammation. Together with Junming Le, Vilcek created the first monoclonal antibody against TNF approved for the treatment of autoimmune diseases and inflammatory disorders. (Photo credit: Jan Vilcek). Born: United Kingdom. Waldmann helped demonstrate the feasibility of using monoclonal antibodies to induce tolerance to foreign proteins and transplanted tissues. He and his team were responsible for the development of the first humanised monoclonal antibody which is in use for combating leukaemia and transplant rejection and has proven to be effective in controlling autoimmune disorders such as multiple sclerosis and vasculitis. (Photo credit: Geoff Hale). Born: England. A pioneer of protein engineering, Winter invented techniques to both humanise and later to make fully human antibodies for therapeutic uses. Today his technology is used in over two-thirds of antibody drugs on the market, including Humira, a treatment for rheumatoid arthritis and other autoimmune conditions, which in 2012 was listed as the top selling drug in the world. 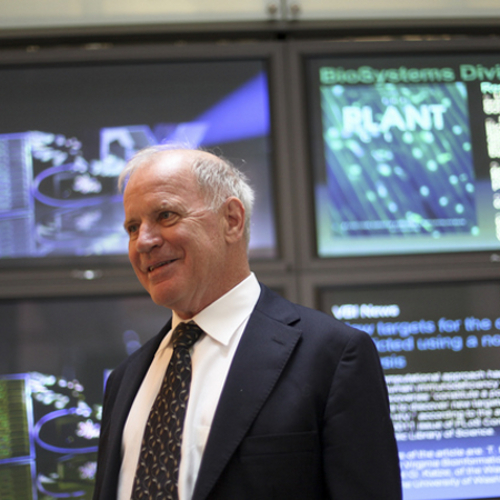 He is also the founder of three biotechnology companies: Cambridge Antibody Technology, Domantis and Bicycle Therapeutics. (Photo credit: Gregory Winter). Born: New York City, United States. 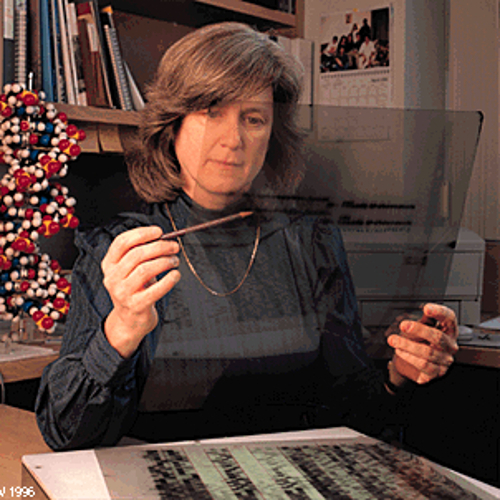 Witkin is an American geneticist who is best known for her work on DNA mutagenesis and DNA repair. She helped elucidate the first co-ordinated stress response. This she did studying the response of bacteria to UV radiation. 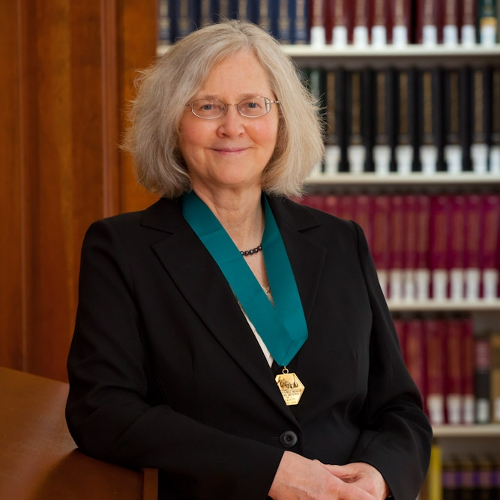 Witkins was one of the first few women to be elected to the US National Academy of Sciences, in 1977 and in 2002 was awarded the National Medal of Science. (Photo credit: YouTube). Born: New York City, United States. The second American woman to ever be awarded the Nobel Prize for Physiology or Medicine, Yalow is best known for having co-developed a diagnostic technique, known as a radioimmunoassay, for measuring tiny quantities of various biological samples in blood and other bodily fluids. The test's primary detection mechanism is an antibody combined with a radioisotope. First devised for determining insulin levels in diabetes patients, the technique is now used for hundreds of other substances previously difficult to detect because they were too small. Among the substances it can quantify are hormones, vitamins, enzymes. It is also used to measure the effectiveness of dose levels of antibiotics and other drugs. (Photo credit: US Information Agency). Born: Zhejiang, China. 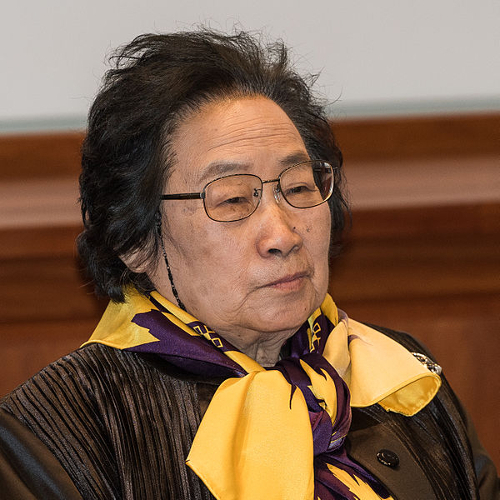 Tu Youyou is a Chinese chemist who discovered artemisinin and dihydroartemisinin, used to treat malaria. YouYou received the 2015 Nobel Prize in Physiology or Medicine jointly with William Campbell and Satoshi Omura. Youyou is the first Chinese Nobel laureate in physiology or medicine and the first female citizen of the People's Republic of China to receive a Nobel Prize in any category. (Photo credit: Bengt Nyman).